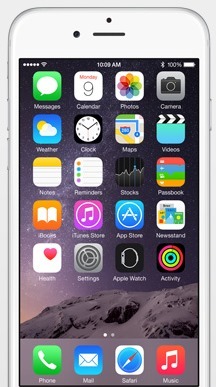 Apple releases final iOS 8.2 download links for iPhone, iPad and iPod touch. If you’ve been following the coverage hitherto, you’ll already be aware of its features, the most notable being the support for the forthcoming Apple Watch, and below, we’ll cover the finer details as well as how and where you can get your hands on this latest piece of software. The Apple Watch app will be a necessary go-between for owners of the wearable, bridging the gap between iPhone and the device itself. iOS 8.2 includes this, and so when Apple Watch is made available to retail, users should be well prepared to dive straight in. As ever, you get your usual dose of bug fixes and performance enhancements, and as per the changelog, there are plenty of them. The Health app, which was among the earlier features of iOS 8, gets its fair share of improvements, including the ability for users to select desired units of measurement for body temperature, weight, height, distance, and blood glucose. iOS Health should also be more stable as a result of updating to this latest piece of software, and notably, enjoys better integration with third-party, fitness-centric apps. Stability really is the atop Apple’s list of priorities here, with apps like Mail and Music all enjoying a more fluid experience on iOS 8.2, while features like VoiceOver and Flyover in Maps should also feel a lot more comfortable. 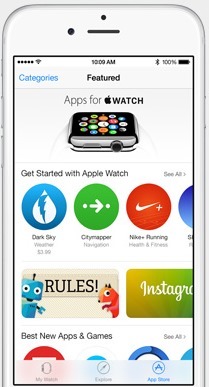 iOS 8.2 also features brand new Apple Watch and Activity apps for the Apple Watch. If you want to download and install iOS 8.2 on your iPhone, iPad or iPod touch, you can do so using the Software Update feature on your device (Settings > General), or alternatively, you can take the old-fashioned route and update via iTunes. Since it has just landed, we haven’t had an opportunity to test iOS 8.2 for ourselves yet, but should any noteworthy features or bugs arise, we’ll have everything covered in a follow-up right here. If you are a jailbreak user, it is important to note that currently there is no jailbreak available yet for both iOS 8.1.3 and iOS 8.2. 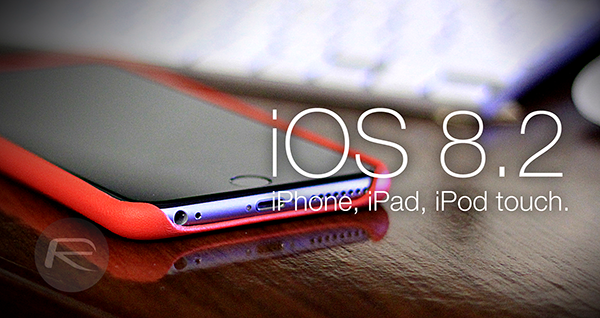 Pangu, TaiG and PP Jailbreaks only work on iOS 8.1.2 for now. 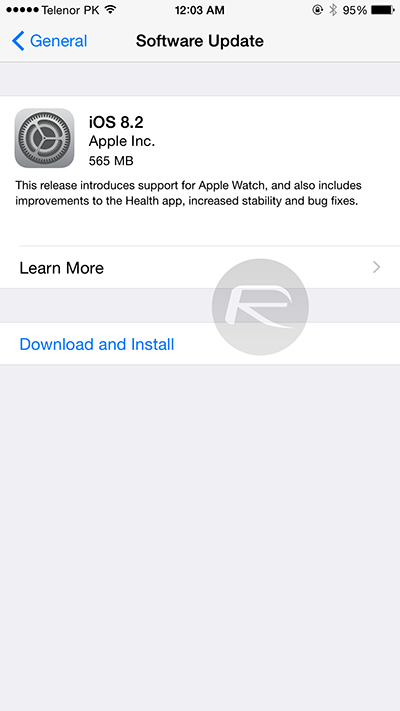 If you are on iOS 8.1.2 and care about jailbreaking, do not update to iOS 8.2. Non jailbreakers can go ahead and update now using the methods mentioned above.